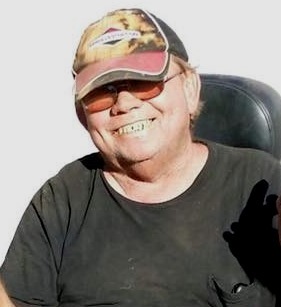 Richard L."Spike" Geer, 54 of Maple Rapids, MI passed away at Sparrow Hospital on Tuesday, April 9, 2019. Richard was born on October 3, 1964 in Carson City, MI the son of Thomas and Donna (Thompson) Geer. He graduated from Fulton High School and worked at Rogers Engine Shop and then at Mahle in St. Johns. He loved Race Cars and worked with Zack and Zayden Olger, he also loved Lawn Mower racing and his 1969 Camaro. Richard is survived by his wife, Doreen "Dee" Humble, daughters Ashley (Wes Sherrill) Schreiber of St. Johns and Myriah (Rick) Benjamin of Elsie. Sons, Camrin (Aubrey Waren) Geer of Maple Rapids, and Michael (Rachel) Humble of St. Johns. His father, Thomas Geer of Ovid. Grandchildren, Richard, David, Ashton, Alivia Schreiber, Payton and Riley Sherrill Kaylenn Mills, Khylee Mills, Jayla and Evie Benjamin, Contessa, Kaine, Dulcinea and Adalyn Humble. Several brothers, sisters, nieces, nephews and cousins. Uncle, Dwayne and Betty Thompson of St. Johns. He was preceded in death by his Mother, Grandparents and cousin, Wayne. The family will receive friends and relatives at Keck-Coleman Funeral Home on Monday, April 15, 2019 4:00 to 8:00 P.M. A Memorial gathering will be held at the Maple Rapids Community Center on Saturday, April 13, 2019 beginning at 1:00 P.M. Following the service there will be a cookout at Bill Geer's house at 1753 E. Steel Road in St. Johns. Memorials may be given to the family.